Belinda Witzenhausen’s Review of Closed Doors which should be released the week of July 22nd, 2012. 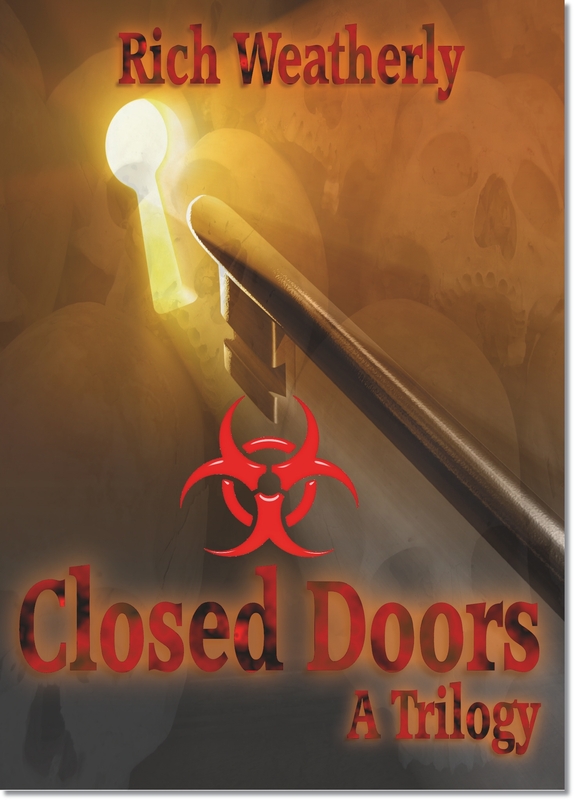 I was thrilled to get an advanced copy of Rich Weatherly’s soon to be released “Closed Doors, A Trilogy”. This debut collection brings together stories that will appeal to many, both the thrill seekers and those who enjoy clean, unpretentious prose and impeccable story telling. Each story resonates in a fresh, yet well-honed voice and are connected by generations of the Wells Family. These stories take the reader on a journey of discovery and a glimpse into human nature, which goes beyond location, or time. Written in a descriptive and well-crafted narrative, it is close to impossible to put the book down before finishing each story which, in my opinion, is a journey which is well-worth taking. Can not wait, love how Belinda says “Written in a descriptive and well-crafted narrative” very nice. I am such a fan of Belinda. Thanks for sharing her ‘wonderfulness;!